You are going to Watch Naruto Shippuden Episode 305 English subbed online free episodes with HQ / high quality. 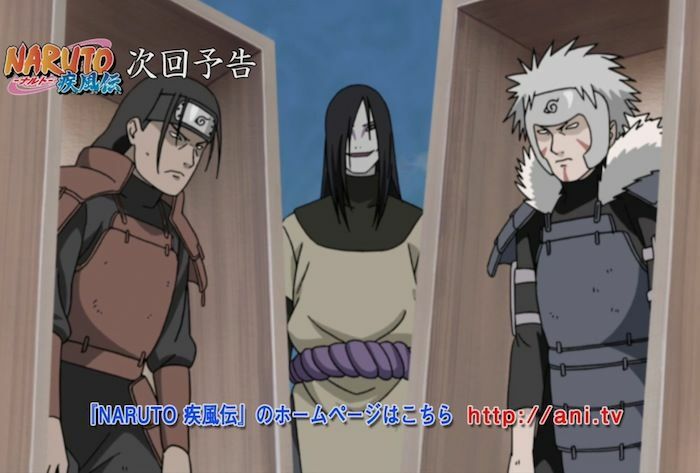 Stream Anime Naruto Shippuden Episode 305 Online English sub The Vengeful. As the search to find their comrades’ souls become frantic, as both Shino and Ino will themselves to continue keeping their comrades alive, within the barrier, the battle wages on between the Sound Four and the members of the disbanded Sasuke Retrieval Team. Meanwhile on the battlefield, Naruto is finally able to get in touch with HQ after finally finding someone from the Communications Team. When told that there was nothing that could be done as there was no-one in the Allied Shinobi Forces that could sense souls, Naruto lashes out at Shikaku for his seeming indifference to the welfare of his own son, but Shikaku merely notes that as the Chief Strategist of the Alliance, it was his duty to keep a level head and coordinates their efforts on the battlefield.